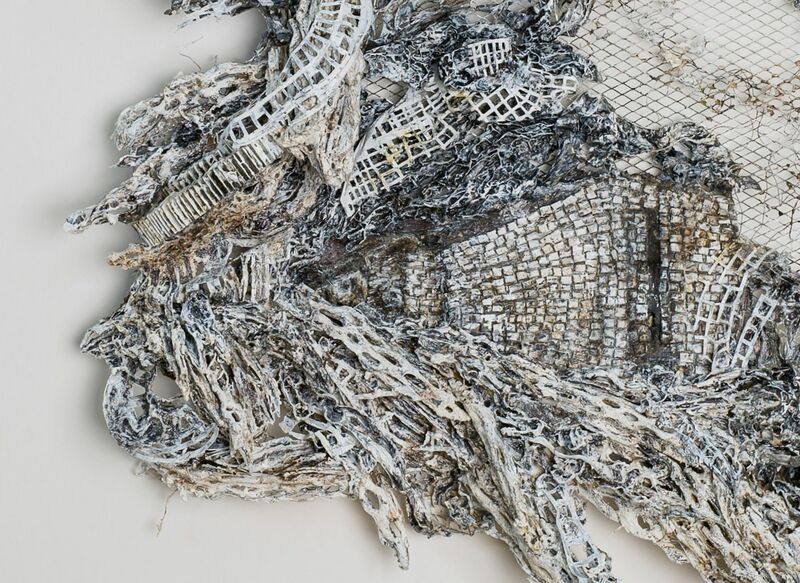 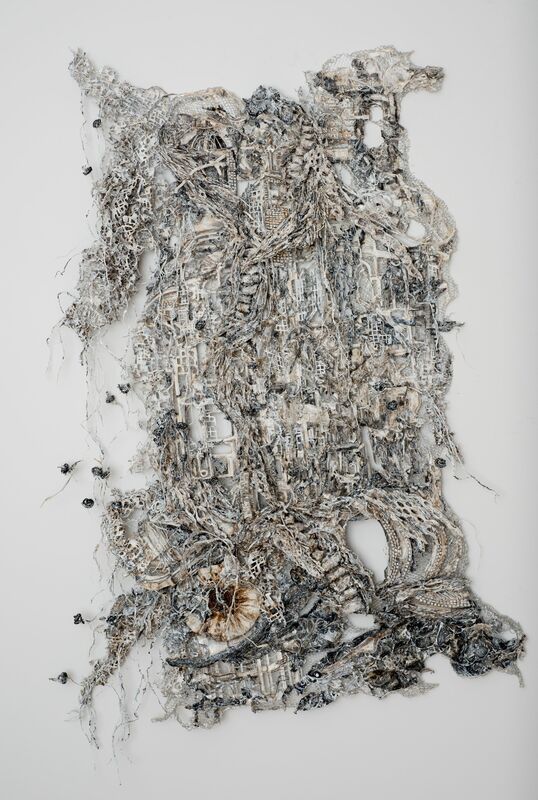 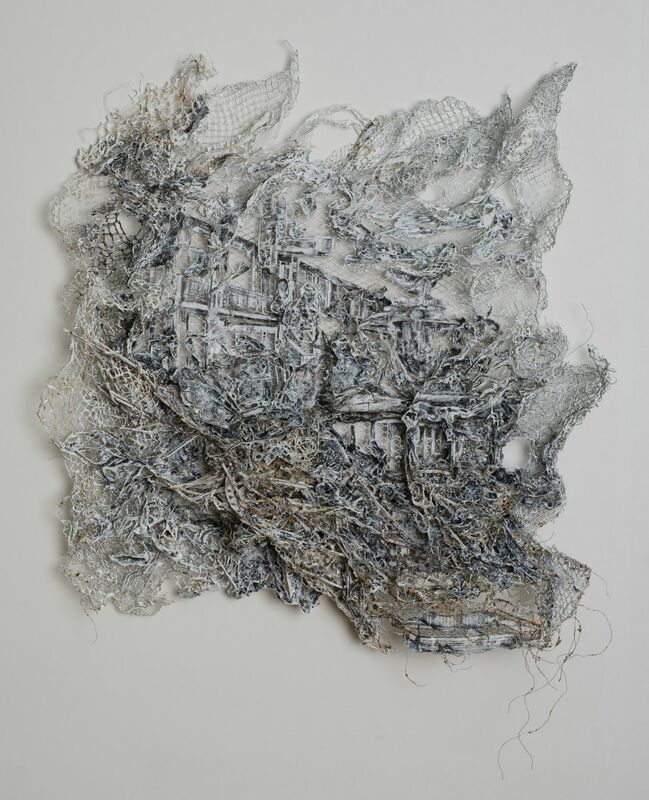 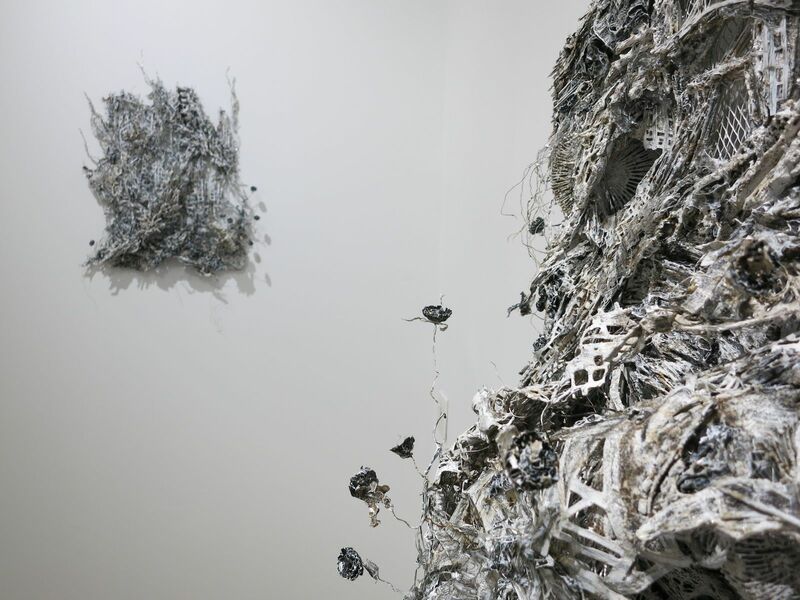 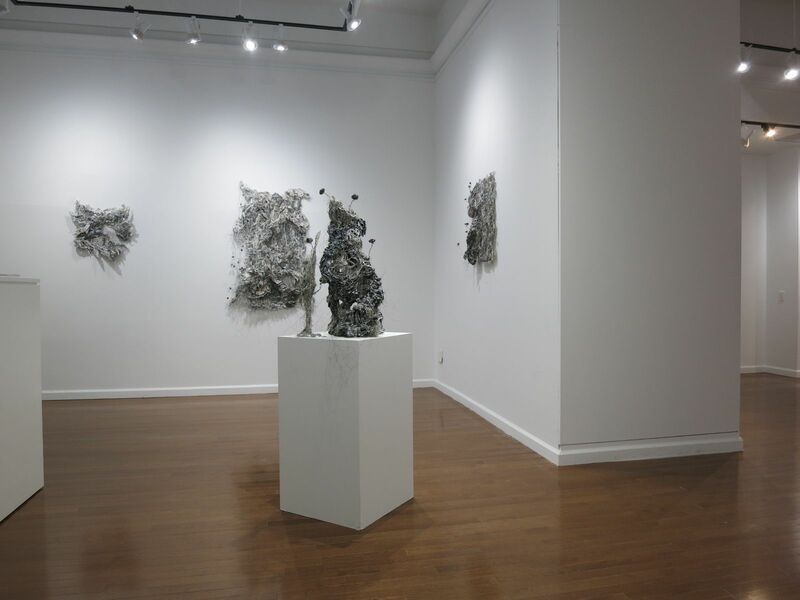 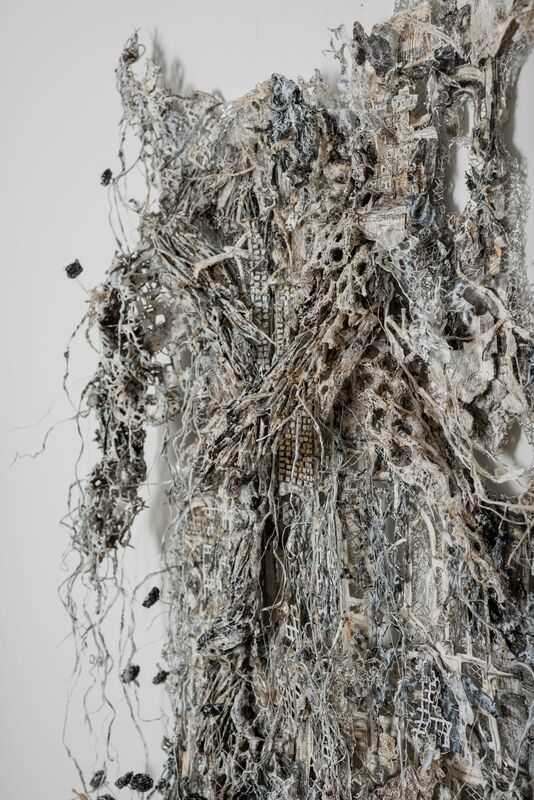 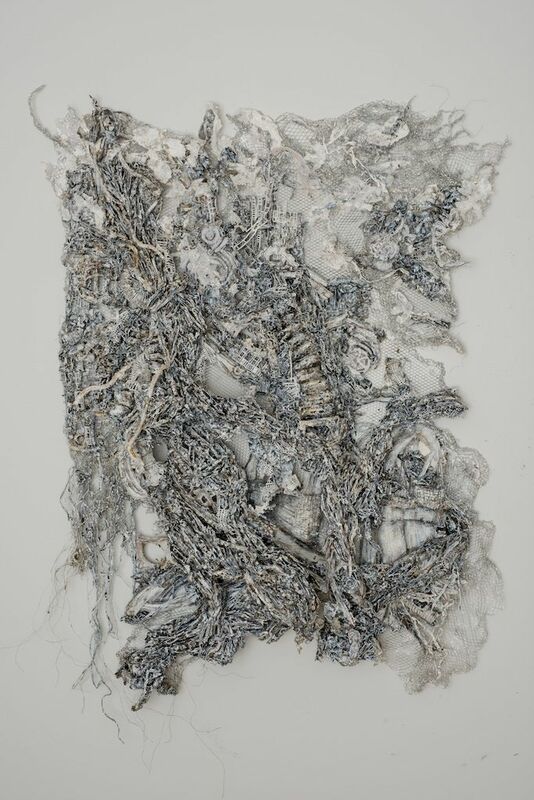 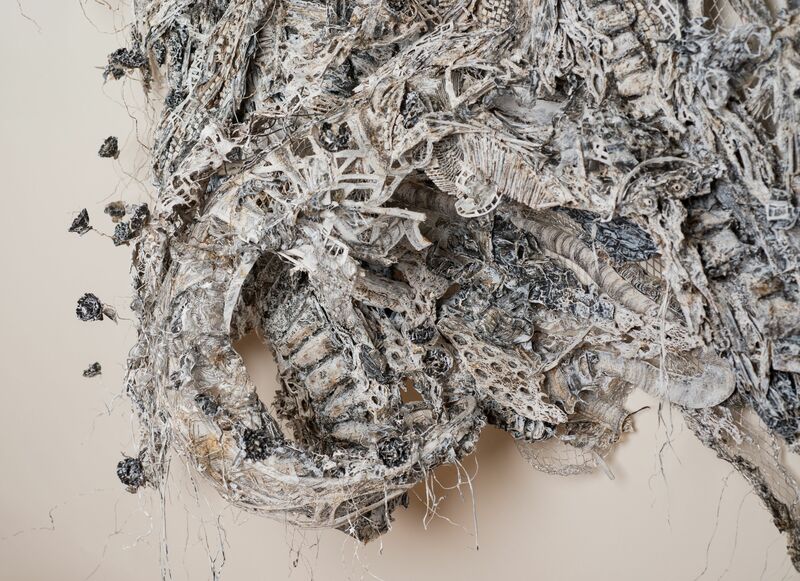 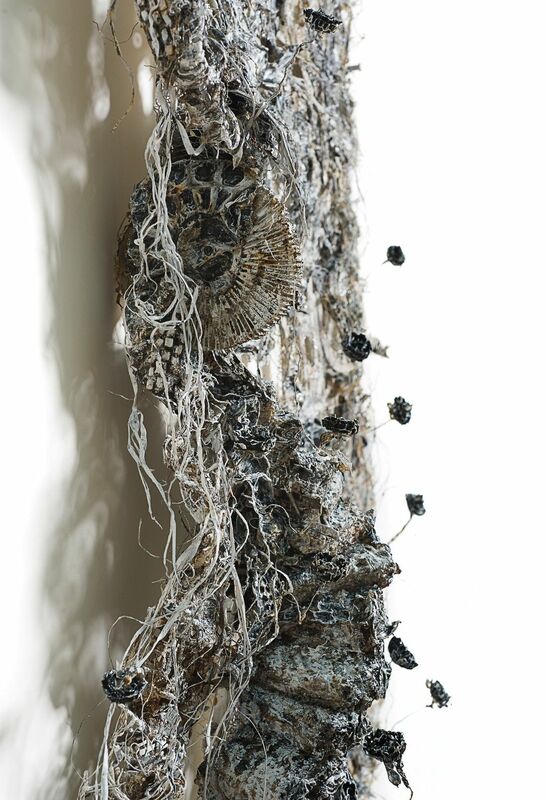 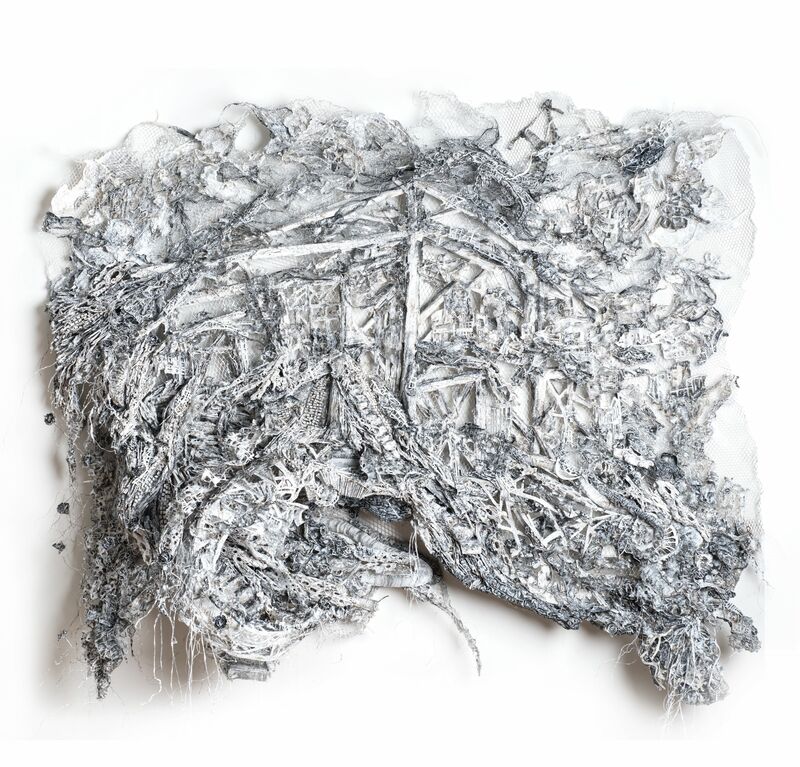 Isreali artist Dana Melamed's work is born equally through construction and destruction. 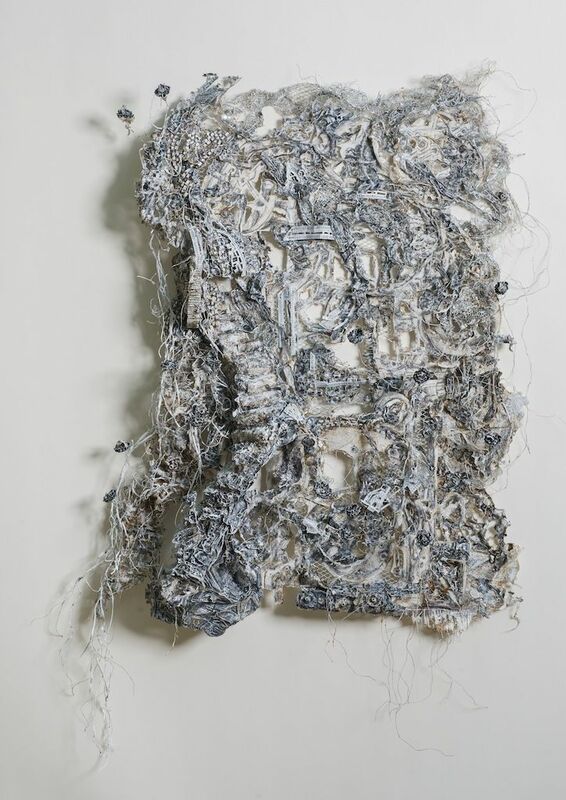 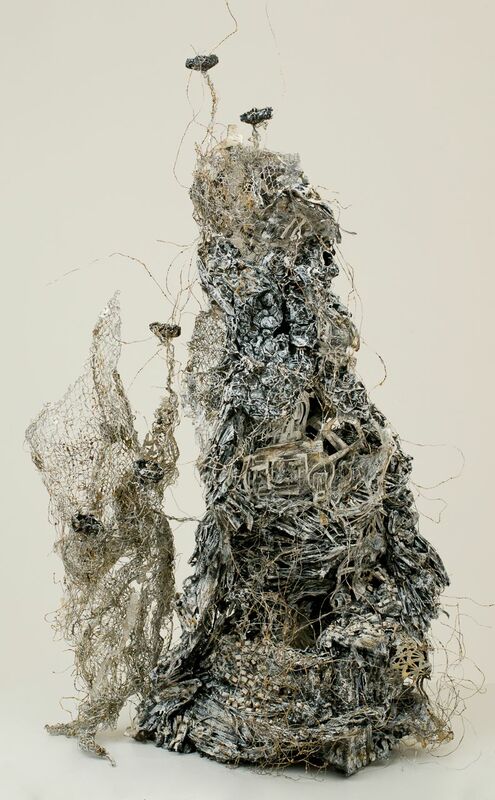 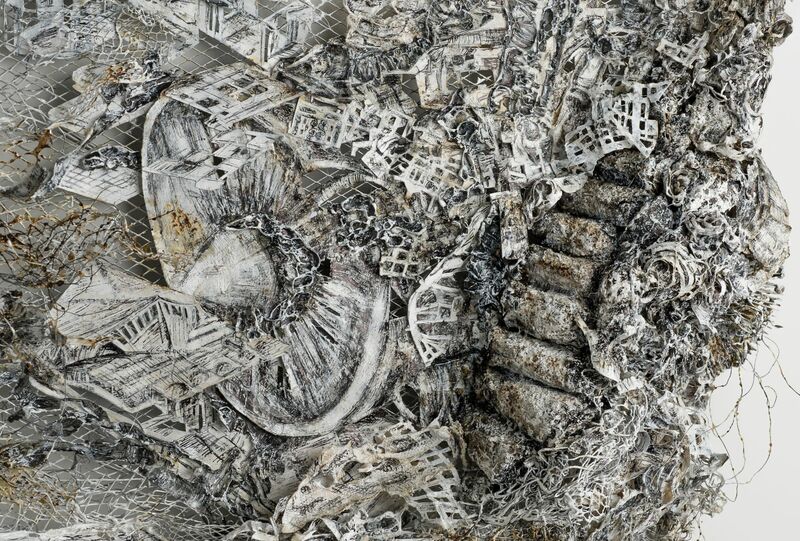 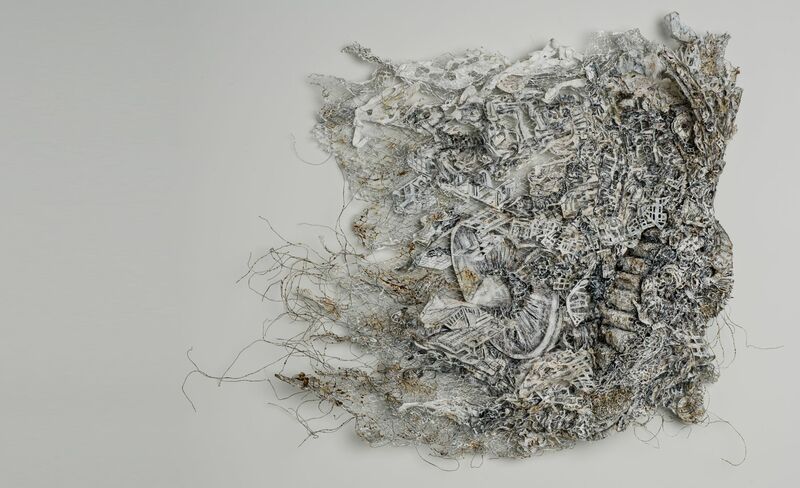 Wearing a respirator at work, she fuses together layers of transparency film, drawings, photographs and mesh with a burning torch; then, using a razor, she delicately feathers the welded object and grants it life and lightness. 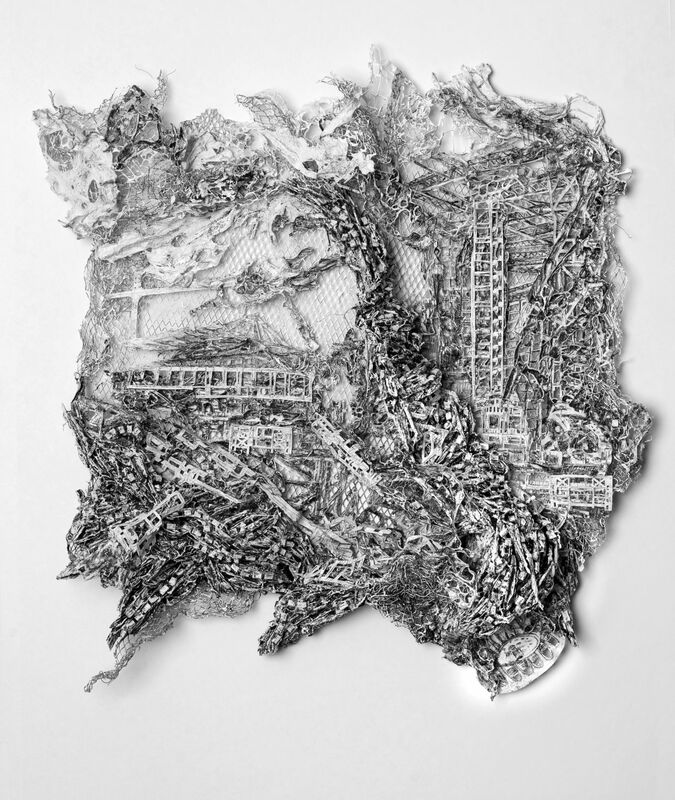 Her compilation of visual information distances the work from reality without losing reference to the present and past urban world. 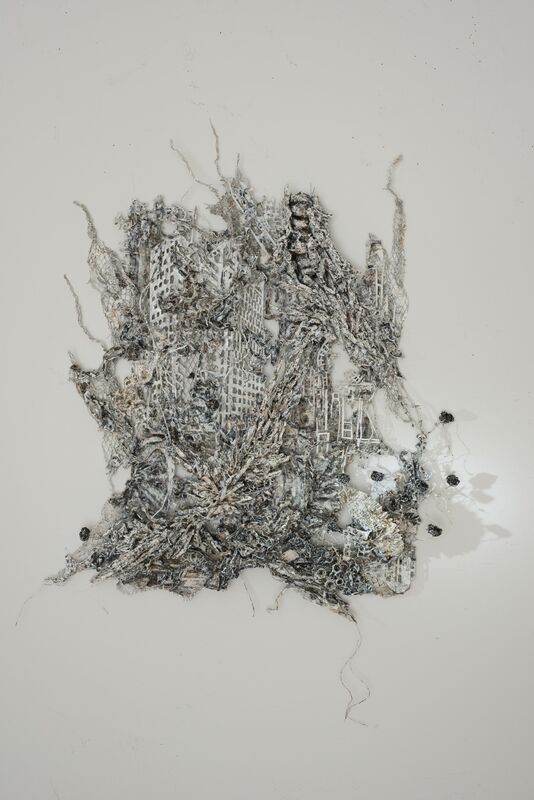 Dana Melamed was born in Israel in 1972. 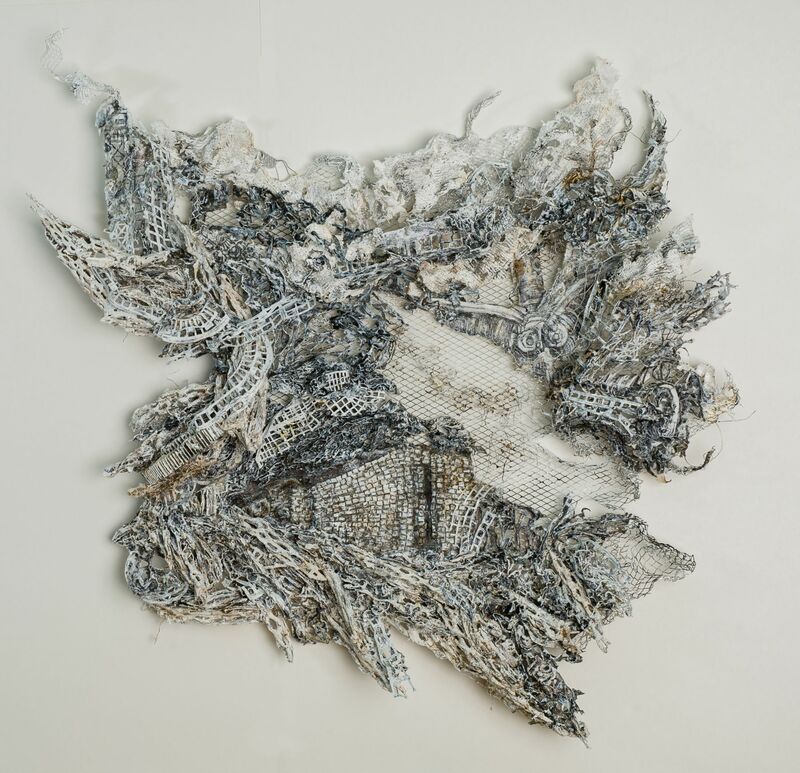 She studied architecture and art history at Ort Technicum Givatayim, Isreal in 1990 and graduated from the Tel Aviv School of Visual art in 1995. 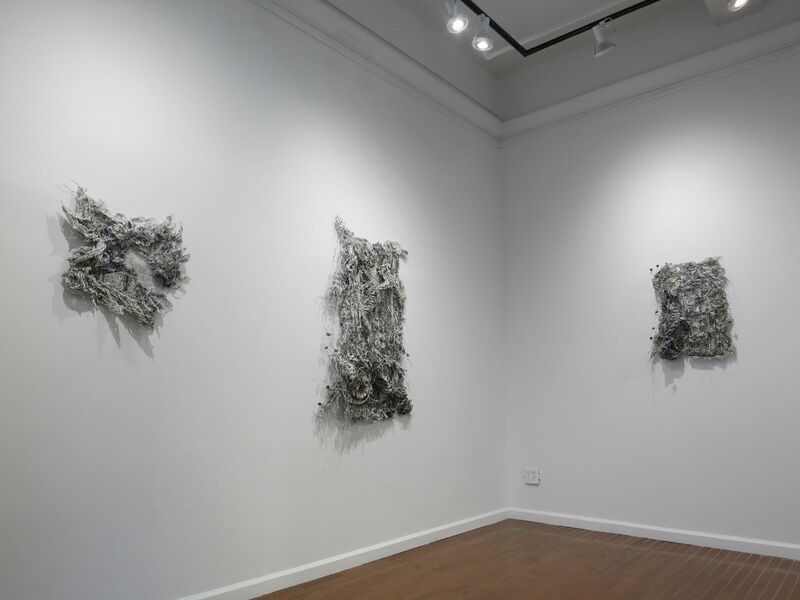 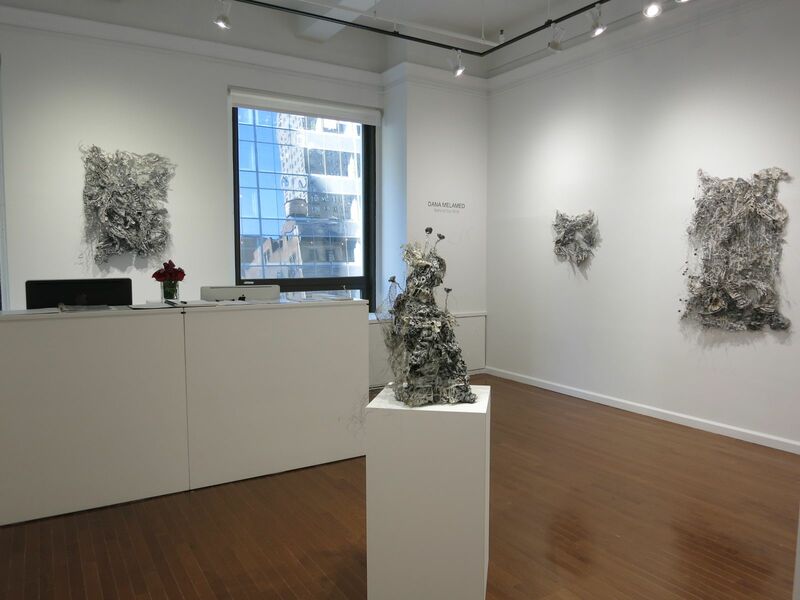 Since her first solo exhibition When Dawn Breaks in 2006, Melamed has had numerous solo exhibitions throughout the city. 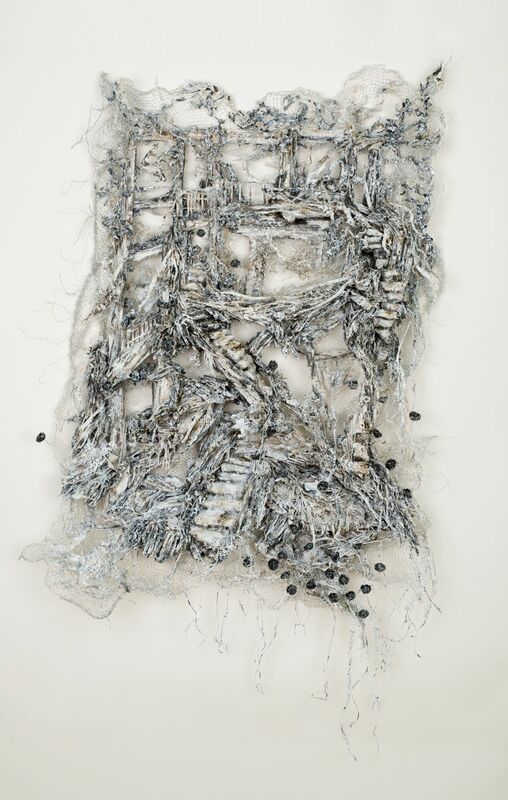 She maintains works in the Frenkels Foundation for the Arts’ permanent collection and the University of Michigan Museum’s permanent collection, as well as numerous international private collections.